Our office hours are Monday through Friday, 9:00 to 5:00. We do our best to have someone there for your assistance during that time. Please feel free to call us there at (208)745-1951. If there is something you would think should on our website you may request it on FAQ page. Our official blog will be used to post any public announcements and information. Go here for to learn about local events, public services and programs, and helpful tips. 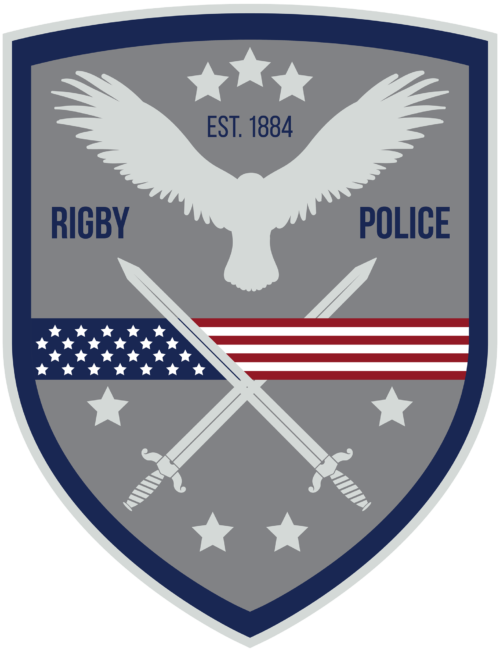 The Rigby Police Department is proud to serve the citizens of Rigby Idaho. Along with many other local agencies we take pride in our town, our county, and our state. Follow the link below for contact information to the department you need. Rigby Idaho is the "birthplace of television" and the home of the first Edwards Theater. It is a beautiful area with a long family-friendly history, and its' police aim to keep it that way. 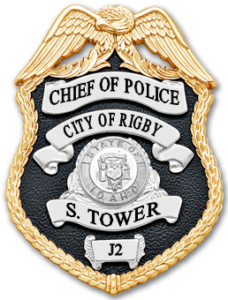 The Rigby Police Department operates under the direction of Chief Sam Tower. Chief Tower was hired by the Rigby City Council in 2016 and oversees the department at the discretion of Rigby's current mayor, Jason Richardson. Working together with our community we strive to promote a safe and positive place to live. Our mission is to contribute to our community's economy, to build strong relationships with all we serve, and to improve the standard of living by creating a safe environment for the public to work and play.